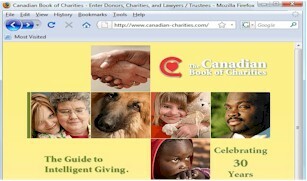 Canadian portal assesses a 3% transaction fee for the charities that receive donations through their portal. 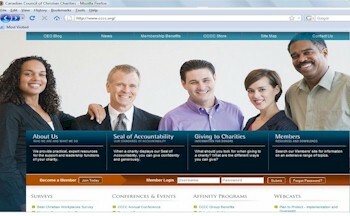 Their portal facilitates credit card donations to 7,000+ Canadian charities. 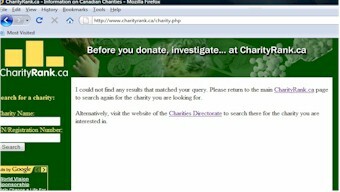 Canadian portal not oriented to receiving donations for disasters. Portal for news, jobs, resources, how-to articles, volunteer and event listings for people working in the non-profit sector. The Canadian government announced (Jan 14th 2010) that the government will match dollar-for-dollar any donations they make to registered Canadian charities to support humanitarian and recovery work in Haiti, up to a total of $50 million. This list comes from Canada Revenue Agency and is searchable by name. There is also a list of revoked charities which may help some donars check to see if they are being scammed by an organization that is not legit. 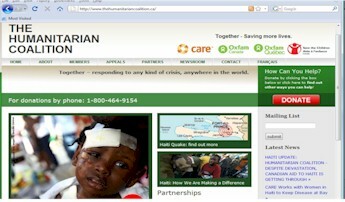 All the agencies shown in the top half of this webpage, are Registered Canadian charities accepting donations online for Haiti earthquake relief and rebuilding efforts.